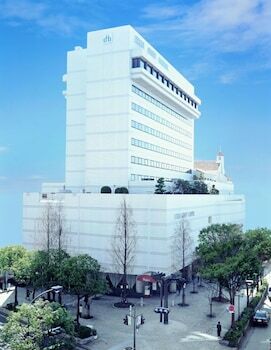 A stay at Itami City Hotel places you in the heart of Itami, and within a 15-minute drive of Koya Temple. Featured amenities include complimentary wired Internet access, dry cleaning/laundry services, and a 24-hour front desk. Free self parking is available onsite. With a stay at Kyoyado Okara in Kyoto, you'll be within a 15-minute walk of Higashi Honganji Temple and Kyoto Tower. The front desk is staffed during limited hours. With a stay at JAPANING Hotel Kikoan in Kyoto, you'll be within a 10-minute drive of Nijo Castle and Higashi Honganji Temple. With a stay at Yufuin Santokan in Yufuin (Yufuin Onsen), you'll be steps from Ryukyu Islands and Yufuin Retro Motor Museum. Free self parking is available onsite.